Според последни изследвания нейтив рекламите привличат до 60% повече внимание, отколкото другите класически рекламни банери. Посетителите избират нейтив рекламите които изглеждат като информацията от уебсайта или като например препоръки на съдържание или на съответните продукти във сайта. Рекламодателите са избрали нейтив рекламите, като най-ефективната част от техните рекламни планове. На световния пазар акциите на нейтив рекламите се увеличава с 140% всяка година, което го прави най-модерните рекламни банери. Нейтив е водещ рекламен формат за най-големите световни сайтове. Днес нативната реклама се превърна в най-ефективния инструмент за продажбите и приходите от съдържанието на сайта. Най-големите в света интернет платформи използват нейтив рекламите. Тези формати генерират в 3 пъти по-висок CTR и в 2 пъти повече конверсии, увеличавайки общия приход на рекламодателите и издателите до 6 пъти по-вече! Our team is on a new mission again. This time we conquer digital event in Lisbon. There’s going to be a tight schedule, burning competition for top publishers and a lot of workshops to upgrade advertising skills. Local account managers are ready to present all the new data and brand new features Adnow developed and implemented this year. Follow our social media accounts to find out some of behind the scenes information. As a gold sponsor for the AdDays Conference we’re excited to invite you to the leading Digital Marketing conference of 2017. It will take place in Vietnam, Ho Chi Minh City, this August 19-20. Also, we’re proud to announce that our Head of Sales Pham Thanh Trung will join the list of ADdays brilliant speakers, and will share our vision and predictions for Digital Advertising and Marketing development. Please feel free to stop by the Adnow booth. We’d be thrilled to hear your ideas and share our thoughts. We can’t wait to meet up with you! We are already packing our bags for Prague to present AdNow vision of digital advertising future at the Internet Advertising Conference. The day X is April 19th. This time our account manager for Czech Republic is going to make a presentation and we are pumped and honored to speak from the stage of one of the most remarkable Internet marketing events in Central Europe. We are very happy to announce that AdNow is going to attend the EShow in Spain. It will be held during two days on 23 and 24 March in Barcelona. We will be very happy to have a smooth conversation with you to discuss perspectives in our cooperation or to offer you a new solution for your business development. On 9-10 March you can find us at the Ad:tech in New Delhi, India. We are proud to be exhibitor and sponsor of a global media technology and marketing event in Asia! Digital market leaders will gather to generate ideas, get new insights and build effective partnerships. During two days of conference and exhibition we will be discovering new trends, making professional contacts and exploring new ways of making money. Do not hesitate to come to the booth No. 47 and share with us your thoughts so that we can together come up with a strong strategy for the the development of your business. We are glad to come to the Online Marketing Rockstars Festival in Hamburg, on 2-3 March 2017. We are going to join a great get together for a couple of days and we invite you to meet us there! Do not miss the opportunity to see international marketing stars, enjoy music highlights and communication with your current and potential partners. For us this is a great opportunity to share new ideas with you and to discuss the most effective way of collaboration. Can’t wait to see you there! Schedule an appointment visit our blog. 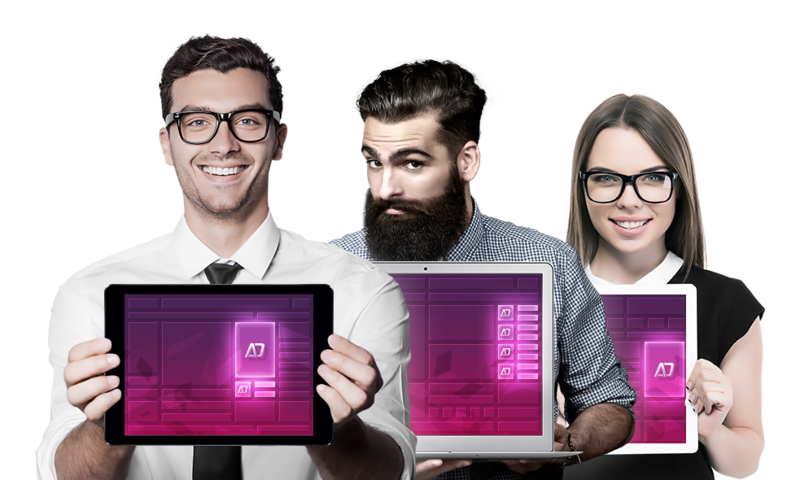 Antiadblock by AdNow: increase your revenue by 25%! 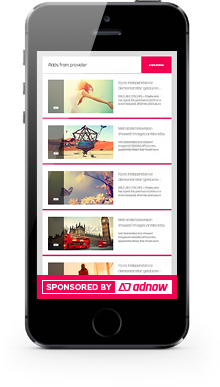 AdNow presents you an Antiadblock technology to ensure a 100% delivery of ads to users! Every year publishers’ revenue reduces because of the rising popularity of Adblock. 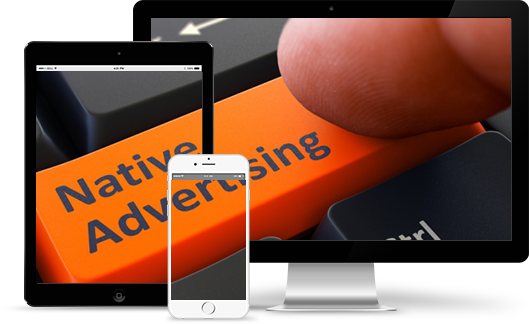 According to a report by PageFair and Adobe in 2015 there were 198 million active adblock users around the world. AdNow launched an Antiadlock technology to protect publishers’ income and to increase it by 25%. All a publisher needs is to contact a personal manager to get the code. AdNow congratulates all the partners on the upcoming 2017! AdNow congratulates all the partners on the upcoming 2017 and sincerely wish good luck and wonderful mood! Let the 2017 become for you a year of success, prosperity and the fulfillment of the dearest desires, let it be filled with new plans, big ideas and exciting achievements. Your success is the source of our inspiration! We wish you high conversions and big profit. Happy New Year and stay with AdNow! Dear partners, the end of the year is the time to take stock and to build new plans for future. Have you already done a kind of list with activities you accomplished in 2016 and some dreams and objectives that you are going to achieve in 2017? We also decided to remember some great things we realized this year. We always try to do our best to make our platform more comfortable for our users. As AdNow would not exist without our customers, we pointed out in our blog improvements that we have done for you in 2016. New Delhi, 20 March, 2015: ad:tech, The world’s largest Global Digital Marketing & Advertising Conference and Exhibition, having 14 shows worldwide, hosted the 5th Edition of the New Delhi Show today i.e. 20th March 2015. Affiliate World Asia takes place from 7 - 9 December 2015 at the Centara Grand and Bangkok Convention Centre at CentralWorld in Bangkok, Thailand. 1500 of the industry`s most successful marketers gather together to create the largest superaffiliate conference in the world. It’s 1st of September and Adnow Webmaster Competition has officially ended! Congratulations to ten winners, who got the most referrals. We hope you’ll like your prizes. We’d like to thank all participants and to welcome their friends, who joined Adnow and became the part of our family. Stay tuned, we have a lot of pleasant surprises in store for you. Monetize well and good luck! We are excited to announce the first ever Adnow Webmaster Competition! Enter now for a chance to win a MacBook, an iPhone 6, an iPad mini, an Apple Watch or an iPod shuffle! All you have to do is post and share our referral link on your websites, social networks, forums and other platforms of your choice. The competition starts July 11, 2016 and lasts until August 31, 2016. Worldwide known conferention in Vienna turned out to be a beautiful opportunity to meet new people and learn new things. Dedicated mostly to printing instead of digital technologies, it was a great experience nevertheless. There were literally no competition for us, and we’re not bragging: we were the only brand representing native advertising. Thanks to organizers and participants! We look forward to meet you all again and hope to find WPE 2017 to be more digital oriented!